Islam is a term that means "Submission or Surrender to the Will of Allah." 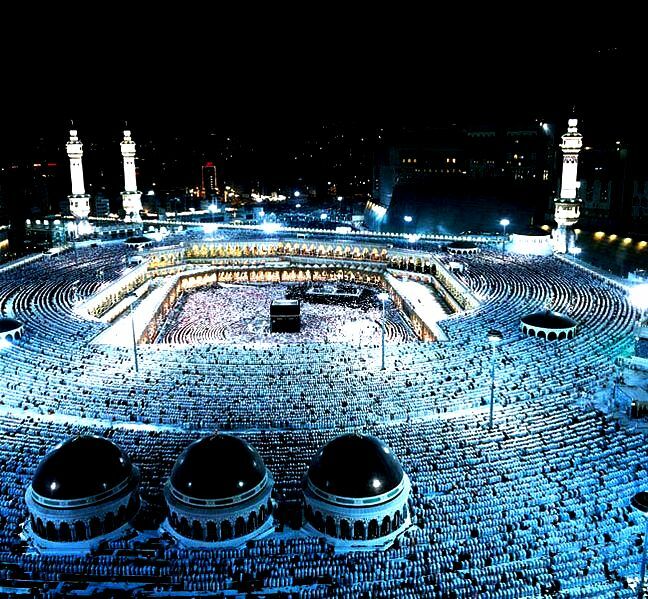 Islam is one of the world’s largest religions, with over a billion adherents. Along with Christianity, it is dwarfing the other Abrahamic monotheistic religion, Judaism. Let’s take a look-see at Islam and find out what makes it so different. 1. Faith – Allah (God) is one, and there is no other God. The prophet Mohammed is His messenger, or prophet. 5. For those who are able, to make at least one pilgrimage (known as “hajj”) to Mecca. Most Christians would not have any problem with the last 4 pillars – prayer 5 times a day, almsgiving, fasting, and pilgrimages – since these are things Christians do as well. The first pillar, however, causes a lot of difficulty for Christians, since Islam rejects the fact that Jesus is the Son of God (Muslims see Him as a great prophet, and truly honor His mother Mary). And the doctrine of the Trinity (God is 3 persons in one) is also rejected by Islam. Mohammed is so revered by the faithful followers of Islam that many try to imitate him and his ways. He is considered so holy by Muslims that his image may never be drawn or portrayed anywhere. To do so is seen as blasphemy and idolatry by faithful Muslims. And like the Christians who have the Holy Bible for their use, Islam has its own book, the Koran. According to Muslim tradition, Mohammed received the words of the Koran from the Archangel Gabriel, while in a cave, around 610 Anno Domini. For the next decade, Mohammed received additional revelations concerning what to put into the Koran. It is composed of 114 “suras,” or chapters, and is about as long as the Christian New Testament. At first, Mohammed was very respectful of Christians and Jews, and he considered the Koran to be God’s revelation to the Arab people the way that God had revealed himself to the Jews in the Old Testament and to the Gentiles in the New Testament. It wasn’t until he left Mecca for Medina that Islam changed from being just another monotheistic religion for the Arab people into the “convert – or – die” expansionary ideology that became so commonplace later on. Some scholars believe that 2:106 was added to the Koran to explain the fact that the revelations in the Koran are not consistent. This brings up a huge difference between the Bible and the Koran; whereas Christians see God’s revelations in the Bible as complementary and consistent with each other, Muslims believe that Allah is so powerful that he can change his mind regarding revealed revelation. To add to the confusion, the Koran is not arranged in chronological order, like the Old Testament preceding the New Testament is in the Bible. When the 3rd Caliph, Uthman, wrote down all of the revelations of the Koran into one book years after Mohammed died, the 114 suras were arranged in the order of longest to shortest, not taking into account the time frame of their revelation. When one does examine the time-frame of the revelations, it is discovered that Islam was a benign religion while Mohammed was in Mecca, and more of a conquering religion while he was in Medina, as the head of his army. 2:256. There is no compulsion in religion. Verily, the Right Path has become distinct from the wrong path. Whoever disbelieves in Taghut (idolatry) and believes in Allah, then he has grasped the most trustworthy handhold that will never break. And Allah is All-Hearer, All-Knower. 9:5. Then when the Sacred Months (the 1st, 7th, 11th, and 12th months of the Islamic calendar) have passed, then kill the Mushrikun (unbelievers) wherever you find them, and capture them and besiege them, and prepare for them each and every ambush. But if they repent and perform As-Salat (Iqamat-as-Salat (the Islamic ritual prayers)), and give Zakat (alms), then leave their way free. Verily, Allah is Oft-Forgiving, Most Merciful. Here we see in 2:256 the Koran says that there is no compulsion in religion, and in 9.5 we learn that unbelievers are to be killed unless they become Muslims. And make no mistake about it – Christians who believe in the Holy Trinity and in Jesus as the Son of God are Mushrikun, because they violate the first Pillar of Islam that says that God is One. Although Christians also believe that there is only one God, the doctrine of the Holy Trinity with 3 persons in one God is totally rejected by Muslims. There are other writings as well which the Muslims consider important, those being what is called the “hadiths,” or reports about how Mohammed lived his life by people who knew him. The faithful Muslim wants to study not only the Koran, the revealed word of the divine Allah, but also how the human prophet lived his life, because Mohammed is considered the ideal man. In Christianity, we have a very similar parallel to this, with the Bible being the revealed word of God, and the saints being the ideal men and women that we should be trying to emulate. One HUGE difference though, is that the Muslims are iconoclasts and reject any and all images of Mohammed, just like the Christian fundamentalists do. They are afraid of idolatry, so no photos or depictions of Mohammed are allowed, even by non-believers. This is why the Muslims put out contracts to kill the Danish cartoonist who did portray Mohammed in a set of cartoons. Why murder is allowed, but not idolatry, is a mystery. Studying these hadiths makes up “the way of the Prophet,” or the “Sunnah.” Faithful Muslims want to emulate Mohammed in just about every aspect of his life. There are thousands of these hadiths around, some which have been proven to be forgeries and untrue by Muslim scholars. Mohammed set the moral standard for all Muslims for all time, even though Mohammed’s actions are not held to any standard like the 10 commandments we have in Christianity. If Mohammed did it, then it is considered good by Muslims, period. This isn’t necessarily a good thing, because in Volume 7, book 62, #88, we learn that Mohammed consummated his marriage with Aisha when she was only 9 years old. In Hadith Volume 8, Book 82, #795, Mohammed cut off the hands and feet of the Uraina tribe and let them bleed to death. So unlike Christianity which sees these 2 things as horrors, they are seen as good things by Muslims, because the infallible (in all things, not just defining dogma) Mohammed did them, and that means that they are good. So why did Mohammed leave Mecca where Islam was benign, and then travel to Medina, where it morphed into the “convert or die” jihad philosophy we are all so familiar with today? Well, Mohammed was in Mecca for 14 years, struggling to make converts to his new religion. In Mecca, Mohammed resembled one of the Christian prophets in Jerusalem – harassed and rejected for preaching repentance and love. In 622 Anno Domini, the pagan leaders of Mecca became very angry at Mohammed, and an attempt on his life was made. So Mohammed fled to the oasis of Yathrib, which we now know as Medina. There he was welcomed by the tribes there as the leader of the Muslims. This fleeing of Mecca in 622 AD (year 1 in the Islamic calendar) established Islam as a political/military/conquest religion/enterprise. 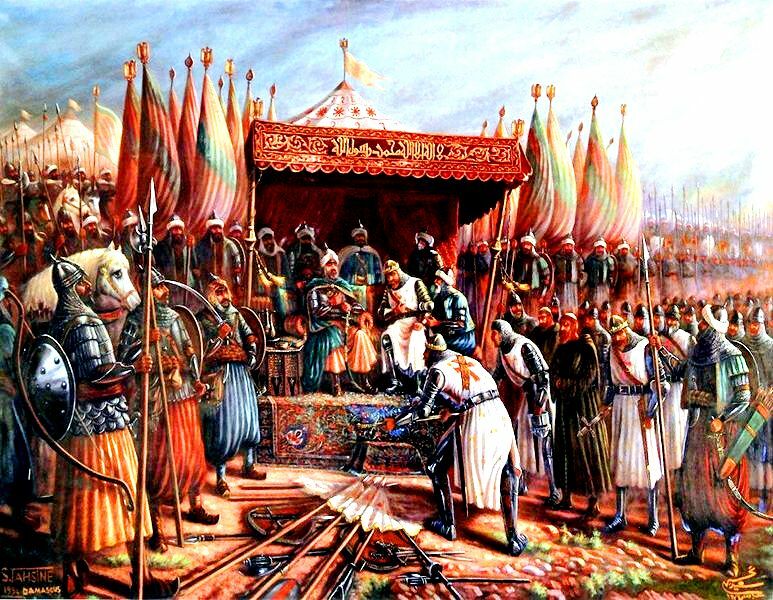 Ten years after being forced to leave Mecca because of an attempt on his life, Mohammed and 10,000 of his followers entered Mecca in revenge mode and defeated the inhabitants of the city, in 632 AD. After this conquest, Mohammed set down the rules of Islam – "Kill the Jews and fight all non-Muslims until they convert." Islam is thus divided into “dar al-Islam” (the House of Islam) and “dar al-harb (the House of War). So Islam is basically telling the world to submit or else we will conquer you. And of course, once Islam becomes a majority religion in a country, Sharia Law becomes the norm, not the constitution of that country, or any other laws. And since Muslims consider Sharia law to come from Allah, not man, it is not optional, and there is NO separation of church (mosque) and state in these countries. Sharia law covers acts of worship like ritual purification, prayers, fasts, charity, and the pilgrimage to Mecca for the Hajj. Additionally, Sharia law covers all financial transactions, endowments, inheritance laws, marriage and divorce laws (not good for women, who are seen as property by Muslims), food and drink, law enforcement, war, and judicial matters. Jihad is a term that means “struggle.” This is eerily similar to the German word “Kampf,” which Hitler used for his book "Mein Kampf", or "My Struggle," and then later on for his war. The internal struggles of certain minds leads to a much larger struggle – even war – later on if it suits the purpose of the Imams with having more Islam in the world, and fewer infidels (Jews, Christians, atheists, Buddhists, etc.). It is a precept that all Muslims must make jihad, and they are rewarded for this jihad by Allah. Martyrdom for Allah is the best way of showing one’s success with their individual jihad. Taqiyya is a Muslim term that means to lie to your enemy in order to overcome them later on. A term like “Islam is a religion of peace” is a prime example of this. If a Muslim can get his enemy to lay down his arms through lying and half truths for the express purpose of defeating him later on when he is caught off guard, then a good Muslim will use taqiyya and shade the truth, or outright lie, because it is in Islam’s best interest to wait for another day to conquer a gullible enemy. This is reminiscent of the Soviet Union, who also used the exact same tactic in treaty negotiations with the USA. A prime example of this deception were the sleeper cells used by Mohammed Atta and the other 9/11 mass murderers back in 2001. So what does the Catholic Church have to say about Islam? So what's the best protection against being taken over by the Muslims, who are always really nice when they are in the minority in a country, and not so nice when they are in the majority? Just like in American electoral politics, the answer lies in Christians increasing their population through the birth rate and having large families. The more citizens a state has, the more political power it has in the electoral college. Similarly, the Muslims are in the process of taking over Europe through their birth rate, combined with the stupidity of the Europeans in not having children and large families.